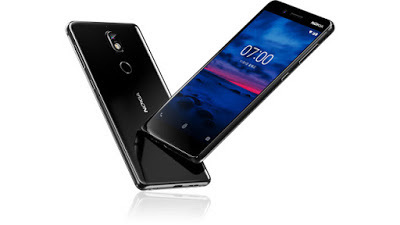 Nokia 7 Is Being Updated To Android Oreo 8.0 - AndroGuider | One Stop For The Techy You! HMD Global launched the Nokia 7 as a China exclusive smartphone in October last year. The device was launched with Nougat 7.1.1 and is now being updated to Android 8.0 Oreo. HMD announced the update via Nokia's official account on Chinese social network Weibo. The update announcement included mention of an increase to speed and fluidity, better battery life, new gestures (the update announcement mentioned only one gesture of "turning off screen prompts"), and a redesigned background app management mechanism. Android Oreo includes several new features like the ability to snooze notifications, picture-in-picture mode, notification channels, colored media notifications, smart text selection and several new animations. To know more about the new features in Android Oreo, you can check out our in-depth video below. Since the Nokia 7 was launched with Nougat, it is unlikely to support Project Treble. This has to do with Treble requiring a separate vendor partition. According to some OEMs (like OnePlus), they didn't ship their devices with a vendor partition because Android Nougat (remember Nokia 7 was launched with Nougat) didn't have any such requirement and if they are now to create a vendor partition using a software update, there is a risk that the device may get damaged.